FORT BELVOIR, Va. (Feb. 6, 2019) Congratulations are in order for nearly two dozen members of the Army Acquisition Workforce who have been selected as product directors or alternates through the FY19 Centralized Selection Board. The board, which convened in October 2018 at Fort Knox, Kentucky, aims to identify high-performing civilians with leadership potential to fill civilian product director positions commensurate with their military counterparts, thereby ensuring that the Army meets the future needs of its Soldiers. The board is a high-priority talent management initiative championed by the director of the Army Acquisition Corps. The complete list of selectees and alternates is below. The slating for product director positions will be announced in March 2019. 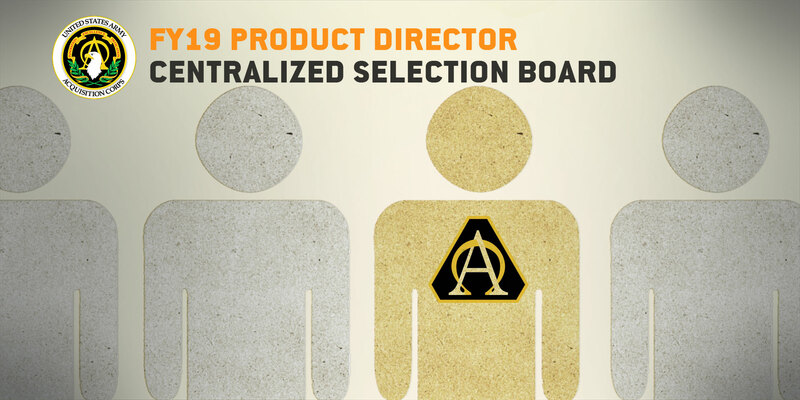 For more information about the Product Director Centralized Selection Board, go to https://asc.army.mil/web/career-development/prod-dir/. * FY20 Centralized Selection List product manager selection.